We created these infographics as a quick-reference guide to the fundamentals of each model, to help marketers fully understand how they operate, and to find the approach that works best for their customers. You can download them all as a single PDF here. 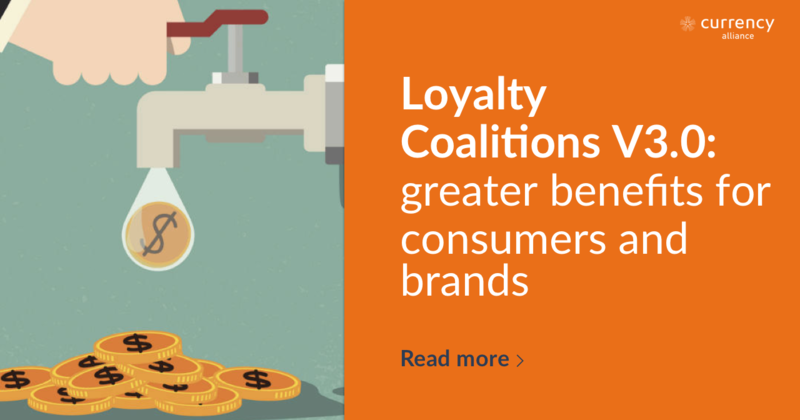 The original loyalty coalitions were built as an answer to the alternative: a single, proprietary brand loyalty program. There were variations, but the basic premise was that a third-party marketing company owned the technology and dominated the ecosystem. The supplier generally siphoned off too much value to enable participating brands to issue worthwhile rewards. Brands, meanwhile, never really got access to the data they were promised, and the majority of customers saw little point in staying loyal. In light of events such as the purchase of Nectar by Sainsbury’s, it’s become clear that this model is at the end of its useful life. 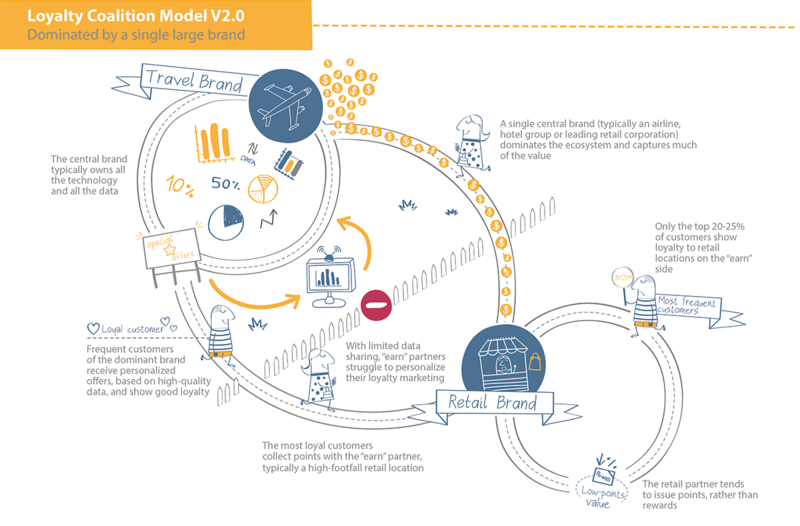 Model 2.0 is currently the predominant coalition model, and it generally revolves around a single large brand: either an airline or hotel group, or a major retailer (think Tesco Clubcard) with sufficient scale and reach to drive high customer frequency. This model solves many of the problems of V1.0. The central brand gets access to the data that never materialised under V2.0. With no middleman siphoning off value, they can afford to issue relevant and worthwhile rewards, and the outcome is improved loyalty amongst the most frequent customers of that one brand. 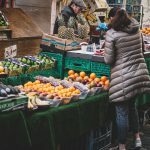 Less-frequent customers, who don’t spend enough with the central brand to accumulate worthwhile points value, would ideally like to earn points instead through everyday purchasing with smaller, higher-footfall, participating brands in the coalition. But as far as these smaller brands are concerned: V2.0 more or less swaps one expensive middleman for another. Access to quality data remains limited, and worthwhile rewards for their customers remain out of reach. 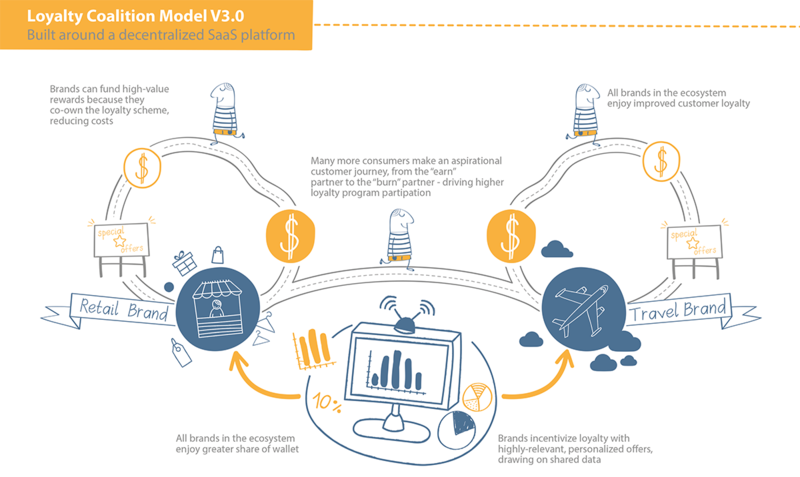 Over the next few years, major loyalty brands will continue to incorporate elements of Model V3.0 into their loyalty ecosystems. unrestricted access to aggregated customer data, to enable highly accurate media advertising and personalized offers. With no expensive middleman to pay, brands will become able to channel more budget into rewards – making loyalty program participation seem worthwhile to a majority of customers, rather than a minority. Aside from the immediate loyalty benefits to each participating brand, this also drives an aspirational customer journey from “earn” partners to “burn” partners in the coalition. More customers shop more frequently with everyday burn partners, in order to accumulate enough value to spend on experiences such as travel. Every brand enjoys lower costs, better loyalty and increased revenue. If you found these infographics useful, you can download them all as a single PDF here. You can also read about the history of loyalty coalitions in more detail here. 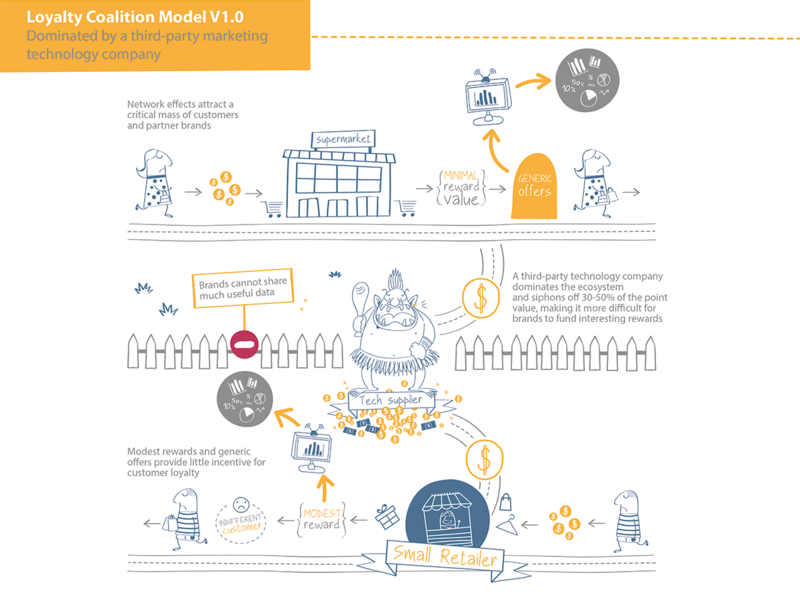 Coalition model V3.0 may be the model of the future, but you can start harnessing the benefits for your brand today. Currency Alliance helps consumer-facing brands forge alliances, easily and inexpensively, in order to drive greater customer loyalty.